Six months ago, Marjina stepped off a train in New Delhi with her two children, hoping to find a better life after her husband abandoned them without so much as a goodbye. 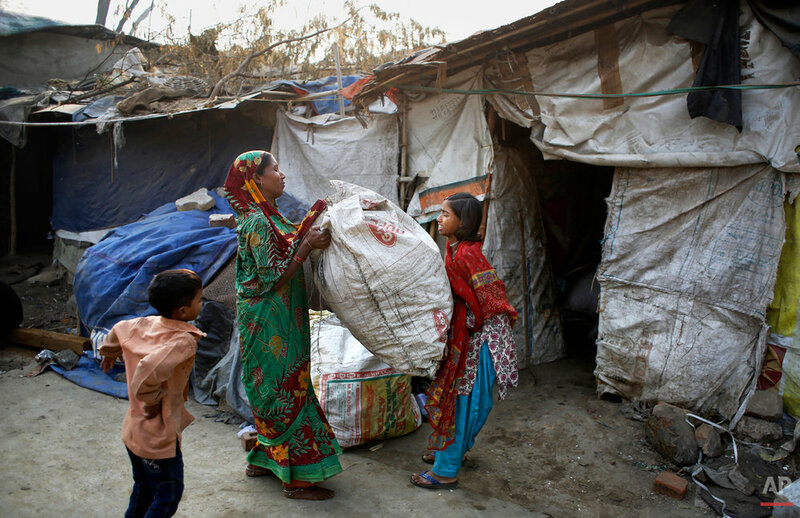 She thought leaving her home in West Bengal to find work in the Indian capital would give her children a chance at a better life. But the only job she could find was as a "rag picker" — picking through other people's garbage to find salvageable bits to resell or recycle. It is filthy, dangerous work, performed by millions of people across India. 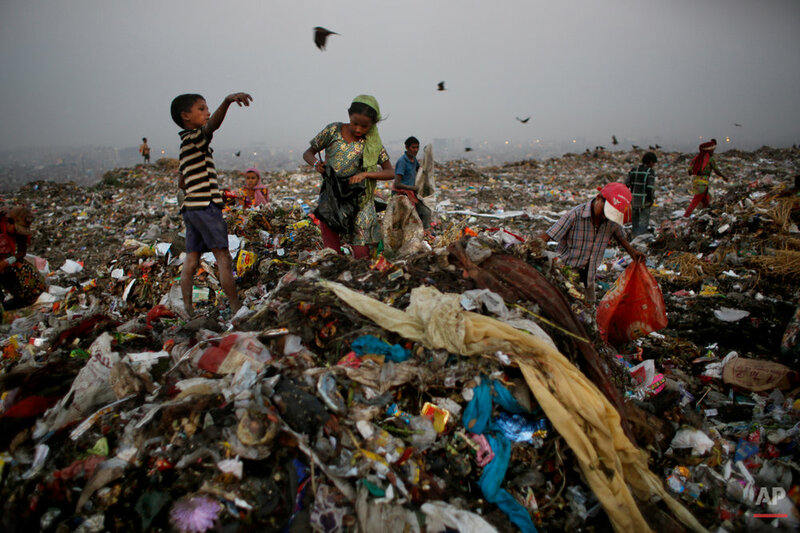 Rag picking is effectively the primary recycling system in India. But the work is by no means environmentally friendly, and very far from being secure. 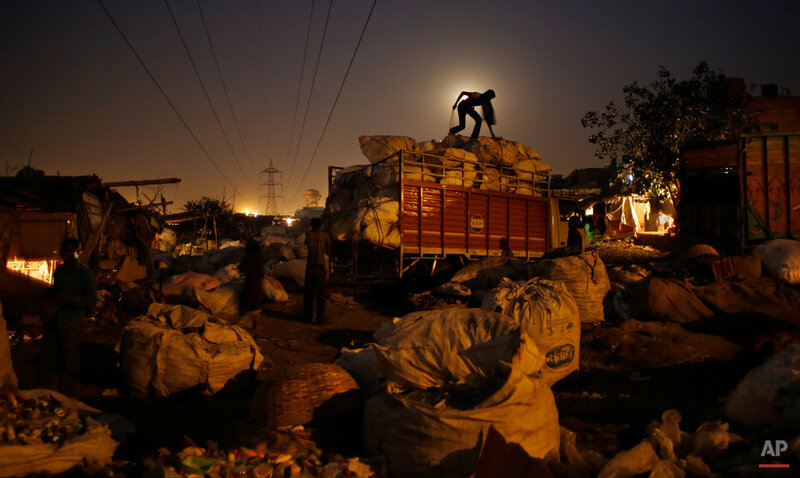 While the rag pickers offer invaluable services to the city, they have few rights. 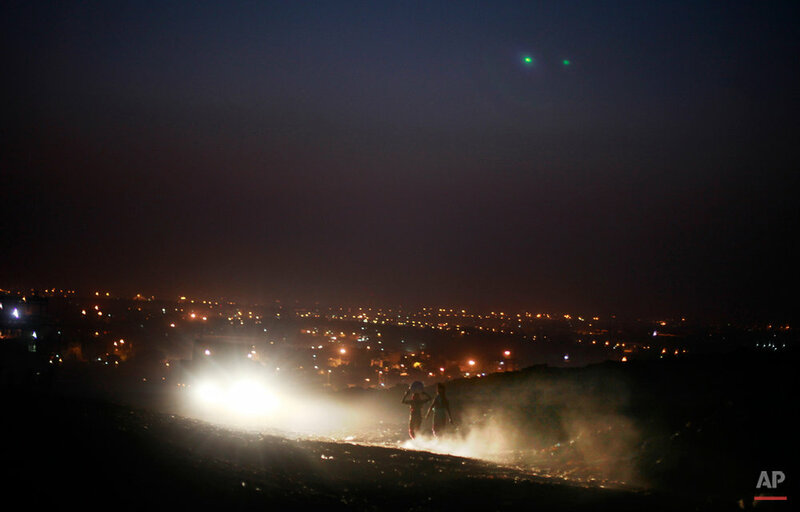 Every day, they are exposed to deadly poisons. 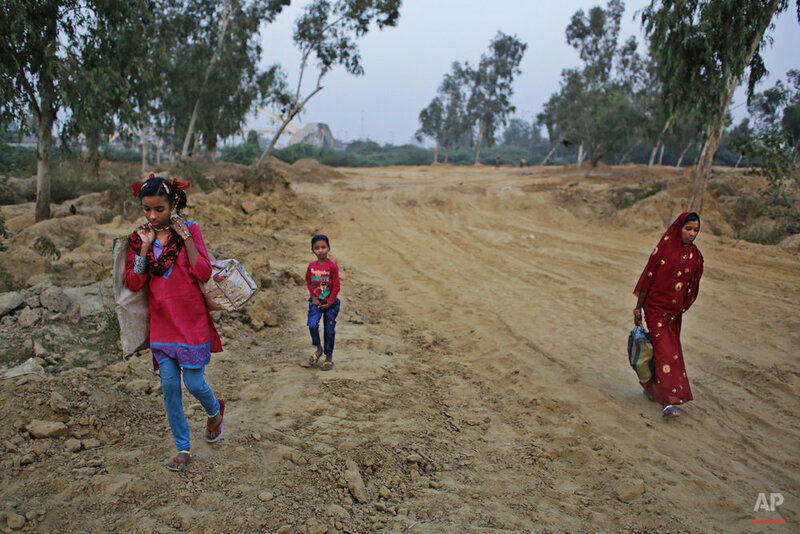 Marjina, who goes by only one name, and her children — daughter Murshida, 12, and 7-year-old son Shahid-ul — spent their days at a landfill in Gazipur, on the outskirts of New Delhi. The next morning they would sit outside their single-room shanty and sort the trash into metal, plastic and paper. The children counted themselves lucky if they found a discarded toy or plastic jewelry to play with. The family earned just $26 per month. Rent was $9. The work took a toll on the family's health. Marjina's children were constantly sick. Her daughter contracted dengue fever and had to be hospitalized. Prime Minister Narendra Modi recently launched a "Clean India" campaign where he asked people to help keep their surroundings tidy. But there were no benefits announced for people like Marjina. After months of poverty, illness and shame, Marjina and her children returned to that train station in New Delhi on Nov. 18, headed back to an uncertain future in West Bengal. "I do not want my children to die in this trash," she said. Daily wage labor back home would earn Marjina barely enough to survive. Her children, who did not go to school in New Delhi, likely won't in West Bengal, either, though all Indian children have a right to free education. 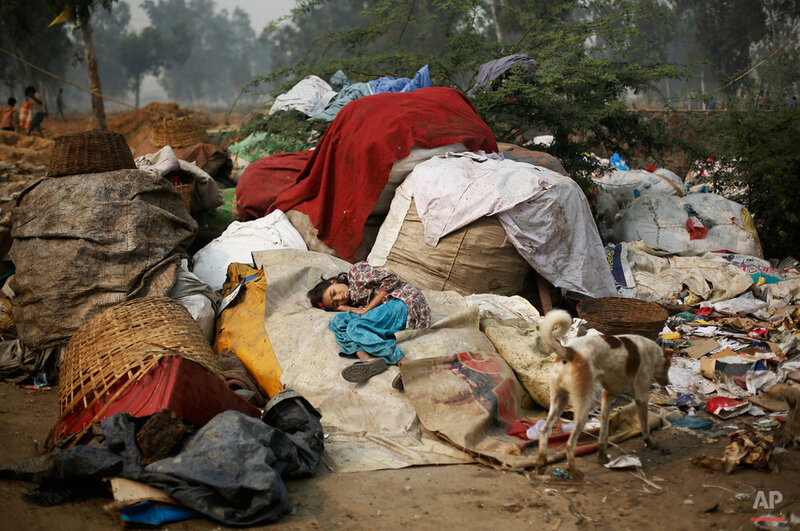 Whatever awaits the family, Marjina said, it could not be worse than life as a rag picker in New Delhi.